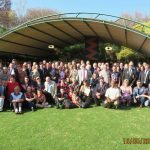 The South African Legion’s National Head Quarters (NHQ) – held a Medal Ceremony on Saturday 16 May 2015 for veterans who did not receive medals due to them at the Ditsong Museum of Military History in Johannesburg. The full group of recipients and their loved ones attended the ceremony. 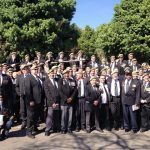 Savate day was remembered by the 32 Battalion Veterans Association yesterday at a large ceremony was held at the 32 Battalion remembrance tree, which is now located the Voortrekker Monument outside Pretoria. 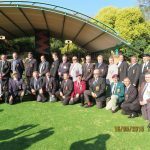 South African Legion representatives were at the ceremony to stand shoulder to shoulder with our brother veterans from 32 Battalion. 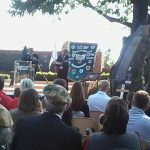 21 May is the only date marked by 32 Battalion as a general Remembrance Day for all those who had fallen while serving in the battalion. The name “Savate” is a reference to a major FAPLA base 75km (47 miles) inside Angola on the Cubango River. It was at this battle at Savate (operation Tiro A Tiro) where the battalion suffered the highest number of casualties. Of the 150 men who died while fighting with 32 Battalion, 15 were killed in action during the Savate-attack in May 1980, the battalion’s heaviest casualties in a single engagement. Radio intercepts later indicated that FAPLA had 558 dead and wounded. Long may the sacrifices of these men who have fought and died for South Africa be remembered – regardless of the politics of the time, then and now. Images courtesy of the 32 Battalion Association and Demetri Friend. Posted for the South African Legion by Peter Dickens. 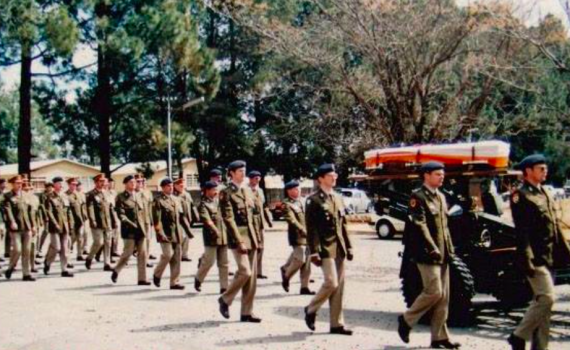 Commandant Johann Christiaan Du Randt (Artillery Observation Officer, 4 Field Regiment) is carried to his last resting place on a gun carriage with full military honours. 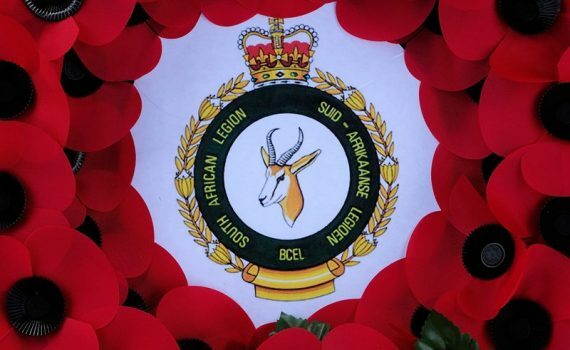 He was Killed in Action on the 3rd September 1987 in a 42 Squadron Atlas AM3-C Bosbok, Serial No 934 which was shot down by a Soviet SA-8 Gecko Surface-to-Air Missile South of Lomba river in Southern Angola during Ops Modular. 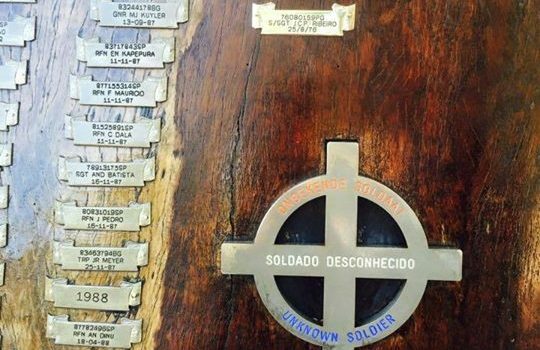 As the Artillery Observation Officer he was giving battery targetinginformation on the enemy when the Angolan brigades started launching SAM’s at the aircraft. A total of 17 missiles were launched against the aircraft and the Pilot, Lieutenant Richard Glynn successfully avoided three of the missiles before the aircraft was hit by a fourth missile. Both the Pilot and Artillery Observation Officer were killed instantly in the explosion. 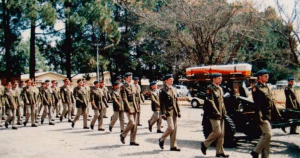 SADF Ground Forces in the area successfully recovered the bodies of both crew. 82430414PS Lieutenant Richard William Glynn (Pilot 42 Squadron). He was 21. 70517313PE Commandant Johann Christiaan Du Randt (Artillery Observation Officer, 4 Field Regiment). He was 32. 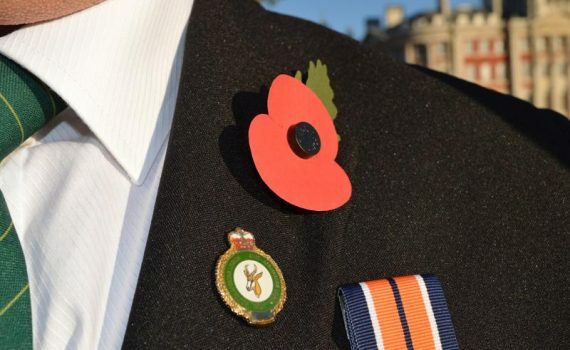 Their sacrifice will be remembered. 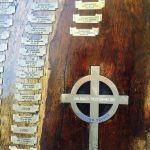 Thank you once again to Grahame Du Toit for his on-going work preserving this memory, the caption and photograph.